Honda’s HRC Commercial Series mowers consist of two models: the self-propelled, hydrostatic drive HRC216HXA and push-type HRC216PDA. The HRC Series’ legendary mowing performance is enhanced by offering Honda’s exclusive MicroCut™ twin-blade mulching technology. Twin blades produce finer clippings for mulching, and finer clippings means less bagging. 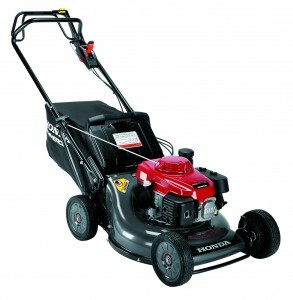 The HRC mowers are strong, fast, light weight, more efficient, and incorporate a number of key features, including a dome-shaped deck design, an offset twin blake MicroCut System, a Hydrostatic Cruise Control transmission, improved heavy duty handlebars, lightweight Xenoy wheels and an easy-to-use grass bag.